The narrative poems of Meteor are both funny and thoughtful, turning ordinary situations on their heads and capturing strange, surprising scenes. 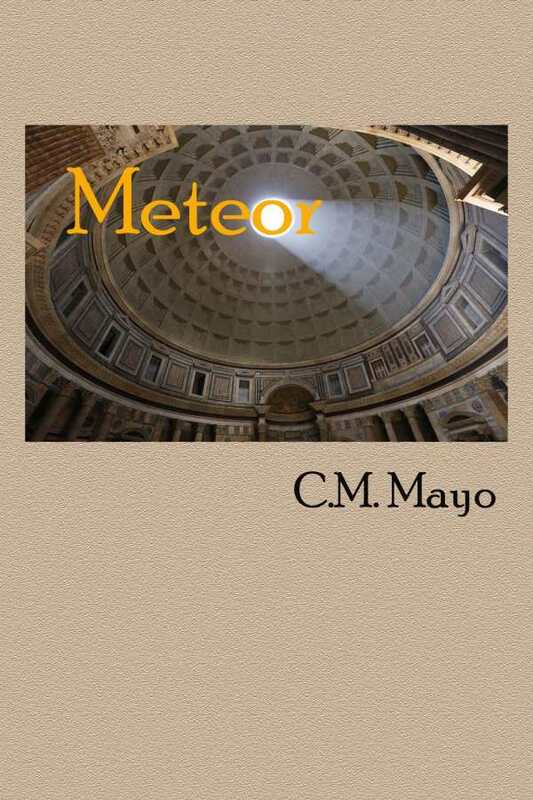 In C. M. Mayo’s collection Meteor, narrative poems transform ordinary experiences into something surprising. The entries here cover wide ground, with scenes that are variously strange or that appear familiar but contain twists and surprises. “Meteor” is based in a childhood memory of a meteor hitting a tool shed; it focuses on the frenzy of activities that follow. “UFO 1990” tells the story of four people’s supposed sighting of a flying saucer; it is enlivened by everyday observations, such as that one witness has a wife who trims his hair. In “Hippopotamus For M., who got one,” a woman in conversation recounts her experience of shooting a hippopotamus. Eccentric characters and lively experiences are frequent, as in “Two Phone Calls in the Same Day From Delhi,” where a man walks into a home and casually greets its owners, who each assume that the intruder is friends with the other—only to realize later that neither knew the man, who makes off with their cranberry juice and Mercedes. In their climactic moments, the outcomes of these poems’ scenes are revealed; these tend to be placed on a different page. Revelations mostly come in the form of a sentence or two; these amplify the impact of the poems’ aftermaths—as with the poem “Silly Flat and faded,” which touches on the painful impact of cancer, and where the line “of what it reminds you” is placed in a separate page to emphasize this. Poems are organized according to similar subject matters. The first four poems explore childhood experiences, while the next group contains the escapades of two people, and so on. Beyond this, entries stand on their own, each with a distinct set of characters and a unique story line. Shorter pieces function without many details but are still imaginative: in “Good & Bad,” the color of a reconstructed nose is likened to the beige of a baking soda biscuit. Different sized fonts are used to introduce new ideas or to separate messages within poems, allowing each separate idea to be understood on its own merit. The collection combines serious and playful topics, with humor used to lift the mood. “From The Torre Latino Americana” dramatizes a suicide attempt, but a comical reference is made to the man’s breathing that lightens the weight of the event. Many poems are open ended, allowing for individual interpretations of their meanings, but all are thought provoking. Funny and thoughtful, Meteor collects effective narrative poems.